The Tallen Survival Bowie fixed blade knife blank features elegantly layered Damascus steel construction and a full tang handle. 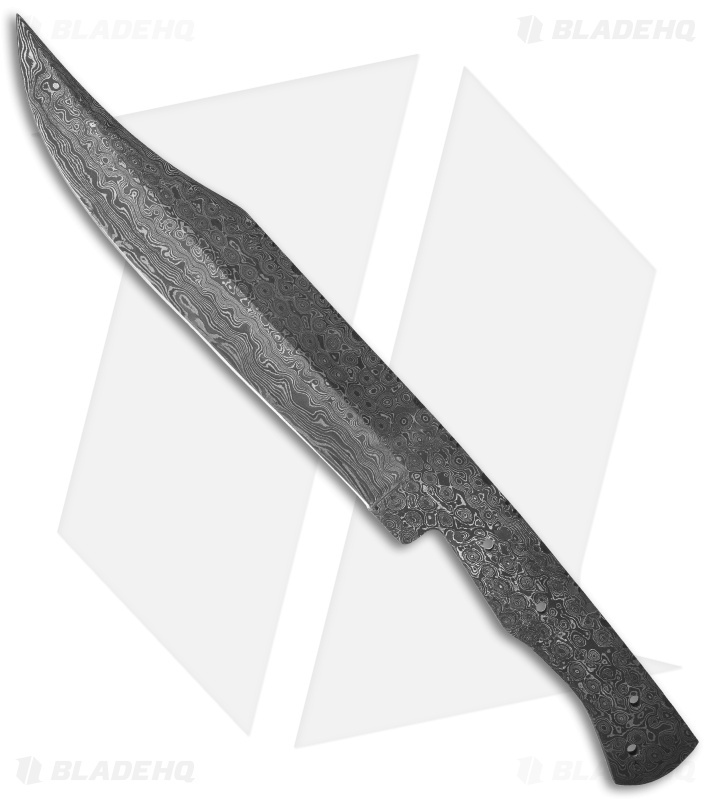 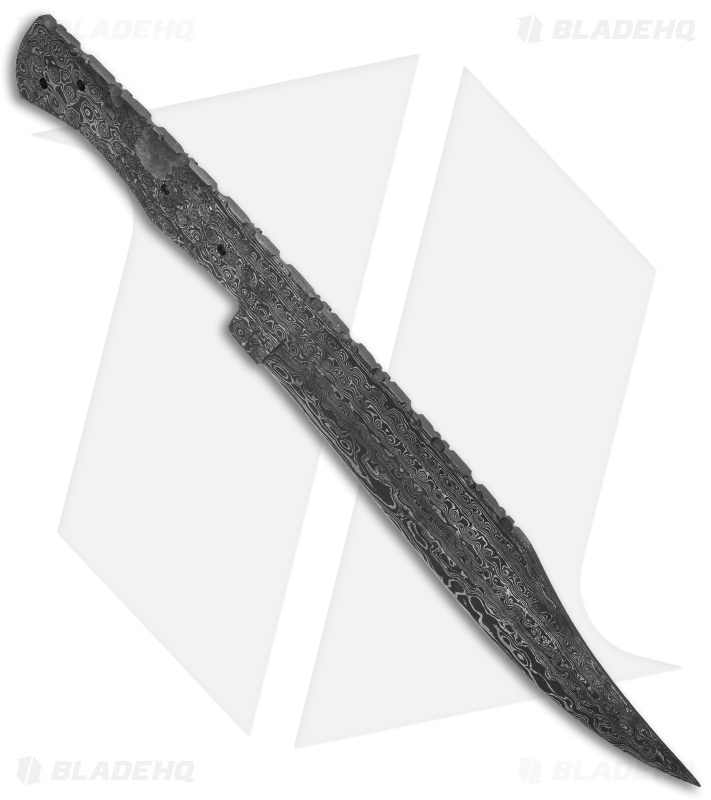 It has a clip point blade shape with a stunning damascus pattern. The spine of the blade has an intricate filework design that gives the blade a customized look.